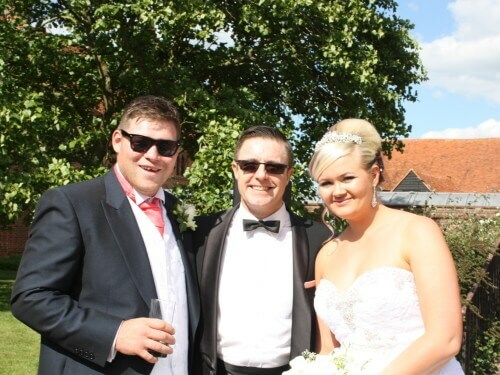 We appreciate how important your big day is and how stressful the planning and organisation can be. 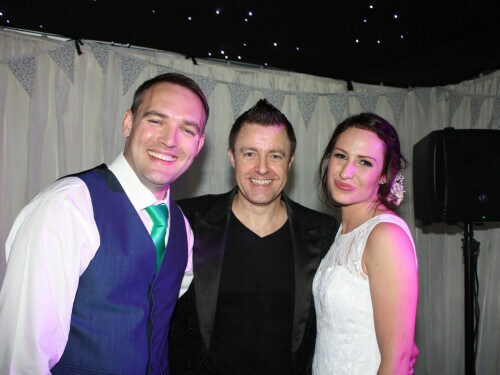 We are able to offer advice regarding your wedding entertainment and our website is packed with video footage, tracks and testimonials from weddings Andy Wilsher Sings has performed at in the past. 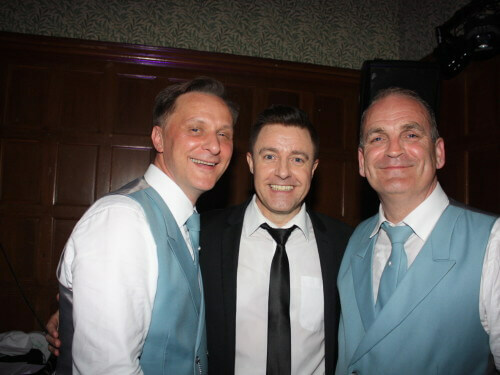 Andy Wilsher Sings provides the perfect combination of classics, upbeat tracks and slow numbers to entertain all your guests and keep your dance floor filled all night. Andy can perform during your wedding ceremony if you would like to walk up or down the aisle to live music. Live music during your reception drinks or wedding breakfast can also really add atmosphere to your day, so contact us to discuss your requirements. “I want the Bride and Groom or the person whose party it is and their guests to have a thoroughly entertaining experience. 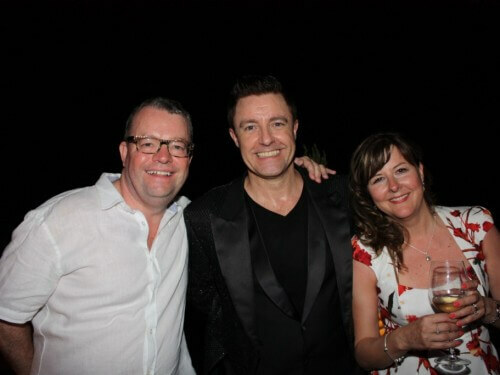 I aim to take the stress out of organising the perfect entertainment for any event. Each and every one of my tribute shows is of a very high standard and incredibly authentic. I am extremely reliable and have the advantage of working with professional and dedicated support staff that are available to assist our clients and answer any queries. They also provide expert advice and guidance using their many years of experience. I have been in the music business for over 25 years and I feel I’m at the top of my game. I am very passionate about my job and I pass that passion on to my clients. I am a full time singer, which allows me to dedicate all my time and effort to delivering the most amazing performances. I work all over the UK and sometimes even travel abroad. I love this job and I love travelling all over the country meeting so many different people on their special day. 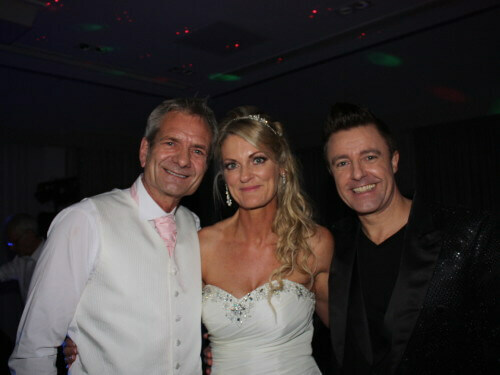 It is such an honour to perform for someone on their wedding day – probably the most important day of their life! The fact that they trust me to help their wedding have that ‘wow’ factor is amazing. 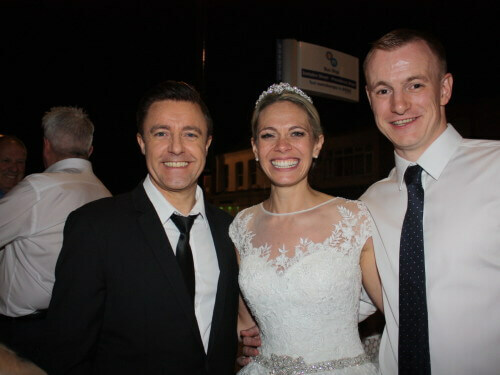 Take a look at our Wedding Gallery to see some of Andy’s previous performances! If you need ideas for planning your wedding entertainment, make sure you check out our free guide full of great tips and ideas for any wedding! Here is a list of popular songs requested by brides and grooms. Please select the song you would like to hear. Andy won "Most Popular Solo Musician 2015"
"Best Musical Act The Wedding Industry Awards 2015"
Andy is officially a finalist of The Essex Wedding Awards 2014. Wedding Entertainment - Live Act of the Year. 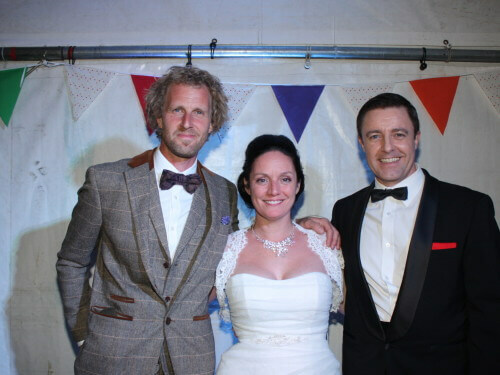 Andy has been nominated for The 2015 Wedding Industry Awards. Andy has been selected for the 2014 Wedding Industry Experts Honour Roll. Andy won "Best Solo Musician - Essex" and was a finalist in the "Best Solo Musician - UK" category. 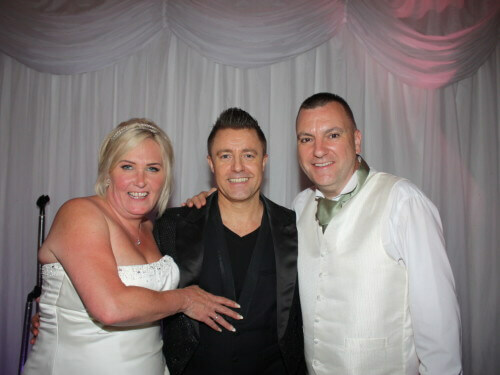 Andy won regional winner for Best Tribute Act in the National Entertainment Awards 2013. 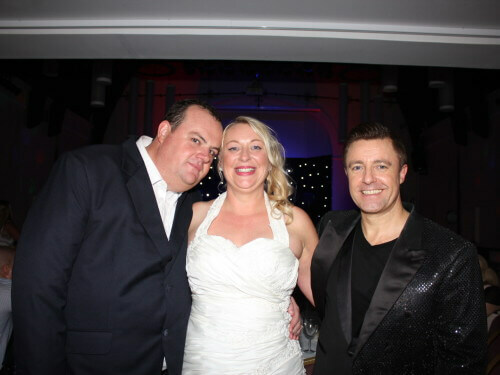 Andy won "Best Wedding Entertainment" in the Essex Wedding Awards 2012.